Every minute of a teacher’s day is important. 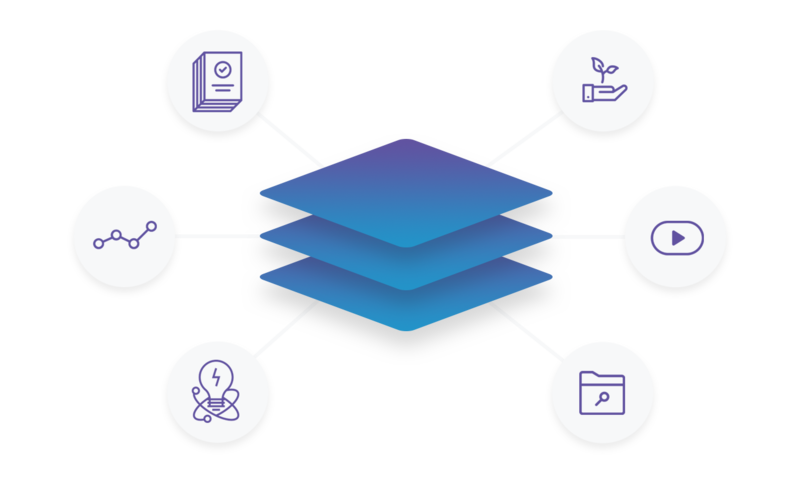 IO Education provides user-friendly solutions that support data-based instructional planning and streamline daily classroom tasks. Our tools are designed to give teachers more time to focus on what matters most – students. Jennifer Thomas talks about how shareable student insights creates a cohesive school culture, bringing teachers together in department meetings and day-to-day. Trisha Gessele discusses how having all information in one place can help every student, every day to build plans. Where do you want to be in 3-5 years? Tricia Delauney uses the IO platform to manage and analyze student data from the classroom. 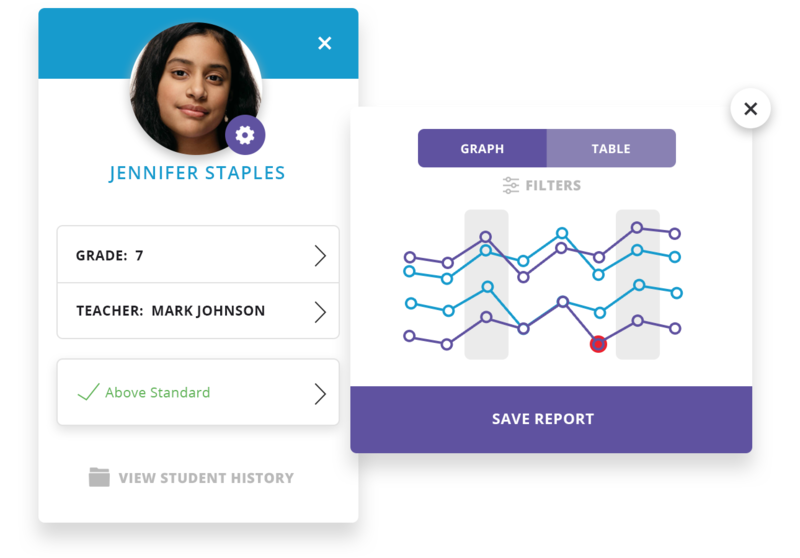 Dashboards for grading, attendance, behavior and formative assessments take away the “I Don’t Know"
Created for teachers, the assessment solution streamlines every step of the assessment process, from creation to administration to data analysis. 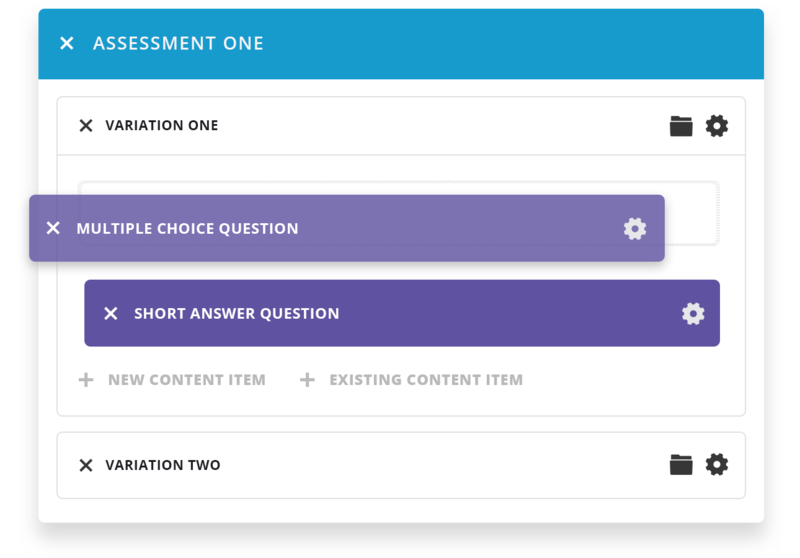 With an extensive integrated item bank, multiple question formats to choose from, and customizable metrics, IO Education is helping educators around across the country deliver high quality assessments. What good is an assessment system without easy-to-view, customizable reports? Generate classroom, student, or school-wide reports in seconds and download shareable reports with a single click. Disparate, disjointed data confuses school communities from the top down. You need real time access to student data to monitor progress-to-plan. Quickly drill-down on student demographics, grades, assessments, behavior, and intervention strategies. All information is in one easy-to-use interface designed by former teachers with daily workflow in mind. Teachers, parents, and students all want a system that is easy to use and keeps student growth at the forefront. Post grades and other metrics to update data instantly, then track performance, behavior, and graduation progress through the system or the app from any device. Parent engagement is critical, but regular communication can be time-consuming and challenging. 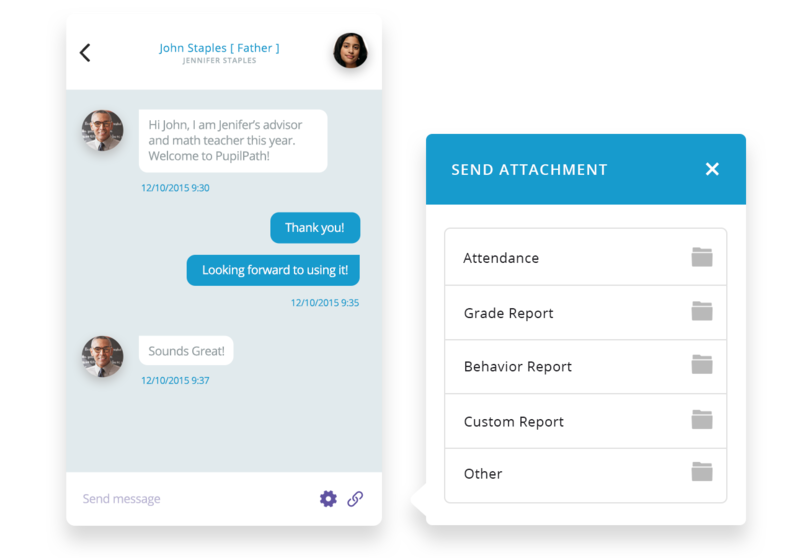 Send attendance or grade notifications instantly via text or chat within the application, and even set up auto-notifications with language translation. School-wide educator effectiveness tools inform transformational professional development plans. Graduate-level case-based, online courses allow teachers to receive credit they need to advance their careers. IO Education allows our teachers to view their class and right away see years worth of data about kids and what kinds of interventions...plans were made for those kids. IO Education has made it very easy to track students and to make sure that they are lining up correctly so that they can move on and graduate. Bring your plans to life with IO Education. See why teachers nationwide love all their data in one place.